Good design is made up of a variety of elements, each creating balance and harmony within a single space. A well-designed space needs layers, depth, contrast and warmth to come to life. One element that always plays a role? Reflection. "Reflection" references the use of metal and mirror in a space. I swear, placing a mirror in just the right place can give you instant depth and double your spatial perception. Many mirrors can even act as reflective art. When in doubt of what to do, try incorporating a mirror - you'll see what I mean. Metal is another way I bring "reflection" into a space. Metals—brushed, polished and mixed—are endlessly chic. Metal is strong and grounding and brings a sense of security. Any home benefits from the feeling that a dose of metal brings. It’s important to walk into a space and feel secure. When getting into the nitty gritty of my design process like this, I always think of the "feels." Imagine walking into a bouncy house where there is NO metal anywhere. Does it give you a sense of security? Stability? Definitely not. Then imagine the sensation of walking into a train station; I immediately think of iron, metal framework and strong architecture. The sensation is a sense of stability and safety. 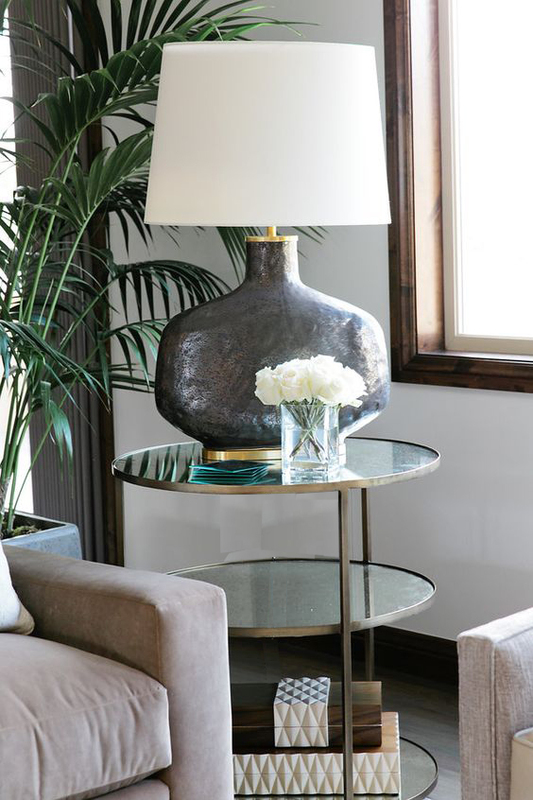 When your space feels like it is "floating away," grab a metal table, vase or accessory. Metal gives you that grounding strength in a space to know it’s going to be around for a while - so walk in, sit down, grab a drink and let's visit about life. Incorporating "reflection" into decorating goes beyond metals and mirrors. There isn’t a day that goes by that a memory of my past doesn’t hit me with a lesson on how to treat others. I'll see an old photograph and experience the pangs of nostalgia or feel that drive to set new goals and dream new dreams. Fill your space with items and belongings that REFLECT who you are and who you want to become. It doesn’t matter if you have the “color of the year" on your walls or the newest gadgets. Trends will come and they will go but you carry your story with you your entire life — your home needs to reflect your story and your lifestyle.